Increase productivity with quick, dependable access to Language Translation Services and Interpeters in over 150 languages. you have reached the language services page of our site ,we are confident your needs for High Quality Language Services will be meet and your expectations surpassed. We provide you with the resources to communicate with potential clients ,business partners and government authorities via the accurate professional translation of Personal and Business Documents , Audio, Video and Web related materials in over 150 languages. 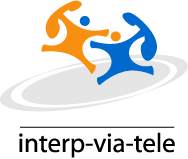 We also offer you the ability to communicate with non English speakers and Deaf and Hard of Hearing Clients via On-site interpreting session or 3 way telephone conference calls with the assistance of a remotely located trained linguist to help you communicate quick and effectively. No TRANSLATION or project that requires professional Interpreter(s) is consider too small to large our management team will work with you to develop a cost effective solution to address your needs for quality language services. All of the service we offer have been developed to help you communicate effectively, understand your clients needs better, increase your ability to offer quality services to a larger audience thus exspanding your oppertunity for growth in new markets and get more done faster. When choosing MEJ, you can rest assured your Medical , Technical or Legal Translations or Interpreting project will be handled by a experienced screened professional certified team of translators and your interpreting events will be performed by a professional linguist or team that possess formal linguistic and Cultural training or certification. We are one of New York most experienced foreign Language Translation and Interpretation service providers with a proven track record for delivering detail oriented services in a timely and professional manner. We provide high quality Language Services nationwide for futune 500 companies , Government ,Small Businesses, non for profits and more please feel free to click on the menu bar above to browse our list of translation and interpreting clients. Please consider MEJ for your LANGUAGE SERVICES needs. We are committed to providing your with the highest level of quality customer service you deserve and expect your satisfaction is guaranteed.